You can make someone's day with this colourful foil confetti print birthday balloon. 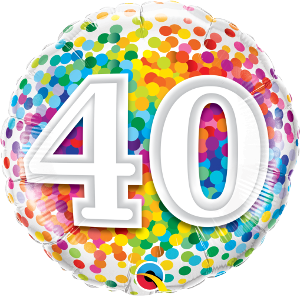 This balloon is a complete confetti print which is very bright and colourful with 40 printed in the middle. This balloon can be inflated with helium.